First of all thank you very much for your post. As for your doubts about UK proxy servers they are wrong I guess you do not know that proxy servers moves from VIP zone to public only after it has bad uptime or it was dead during last 10 minutes. 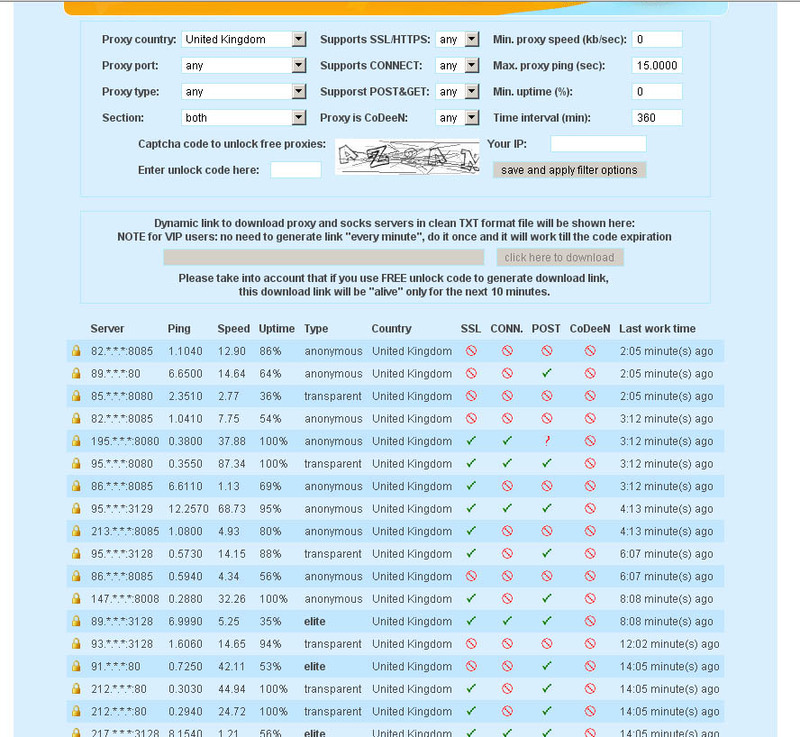 The reason why there are no more FREE UK proxy servers is obvious; they get better and cannot be places in public zone. Also the problem could be that we select only random 80 proxy servers for FREE zone. During last months we improved the amount of working proxy servers from different countries, so the probability that the UK proxy swill get in FREE zone gets less. BTW you can always check if there are any working UK or any other proxy servers in VIP zone. All you need is to filter proxy servers on our web site by country. By default you will see all proxy servers, including VIP ones. The only difference is that you will not be able to see their IP until you will not be our VIP member. i.e. right now there are 13 UK proxy servers available for VIP members during last 10 minutes (screenshot). p.s. please do not forget that you can always ask for any 3 proxy servers from VIP zone to test their speed and stability by your own.